Quartzite may be the most confusing natural stone out there. A quick internet search will reveal an unsettling disparity of information. Some people say it etches. Some say it doesn’t. Sometimes you hear it’s a hybrid between marble and granite. Yet, others report that it’s harder than granite. Which is it? 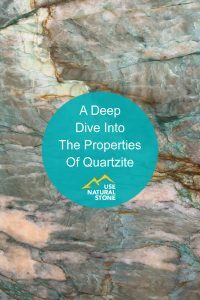 Why are there such conflicting reports about quartzite? Let’s use my favorite tool – geology – to suss out the answer to this mystery. I’ll get right to the point: quartzite is commonly mislabeled. Some quartzite is the real deal, but sometimes marble or dolomitic marble are labeled as quartzite. Because each of these stones behaves differently, people might understandably conclude that quartzite is variable. But it isn’t; quartzite has very consistent properties. Unfortunately it has variable labeling. You needn’t be a geologist to appreciate the hardness and durability of quartzite. Not only does this make for a tough stone, but it also makes it easy to tell quartzite from the imposters. Quartz is 7 on Mohs hardness scale. That means it’s harder than glass and harder than a knife blade. These things are easy to test with a sample of stone. If a rock that is labeled as quartzite is soft, then it was mislabeled. 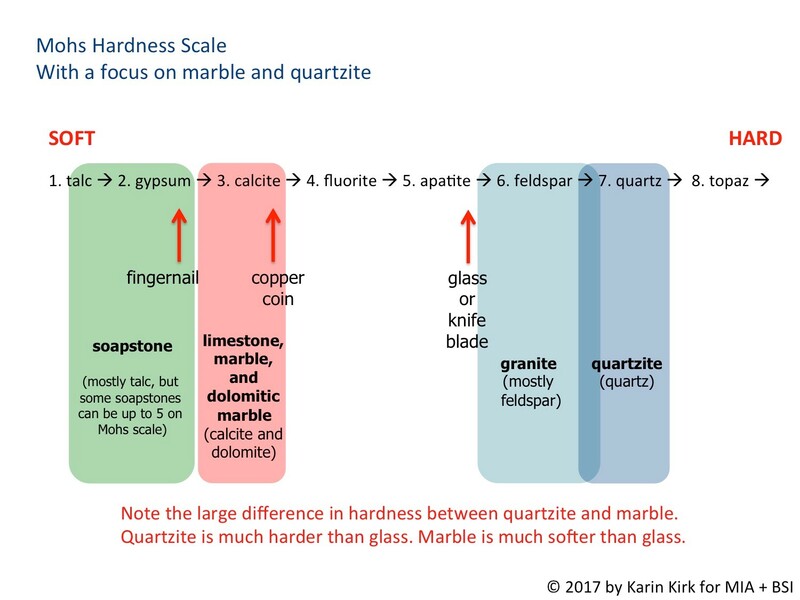 The unfortunate term “soft quartzite” has emerged to try to explain why a rock that is labeled quartzite is actually not hard and durable like real quartzite. There is no such thing as soft quartzite though. There is only one kind of quartzite and it’s hard. A rock labeled as soft quartzite is most likely marble. Quartzite will not etch from acids like lemon juice or vinegar. If a rock labeled as quartzite becomes etched from acid, then it’s been mislabeled. Marble and dolomitic marble, on the other hand, will etch from these acids. Dolomitic marble etches slightly more slowly than regular marble. But quartzite will not etch at all from normal kitchen acids. Not one little bit! Quartzite has a range of porosities. Some, like Taj Mahal or Sea Pearl, have been highly metamorphosed, and the minerals are bonded together tightly. White Macaubas and Calacatta Macaubas have been exposed to less intense pressure, so they are more porous and will benefit from sealing. How do you know if its real quartzite? I know what you’re thinking. If the rock is sometimes mislabeled, then how do you know what it actually is? Thankfully, there is an easy test that anyone can do. It’s called the glass test. Who should do the glass test? Everyone. People who sell quartzite should do it because they can easily find out if the rock is correctly labeled, and they can change the labeling if needed. Consumers should also do the glass test because not every showroom has read this article. It’s worthwhile to learn as much as you can about any stone you are buying (or selling). Find a rough section of the stone, preferably a pointy edge. Put the glass tile on a table, then try to scratch the tile with the stone. Press hard. Inspect the scratch. Is it really a scratch? Or is it a powdered trail of crumbled rock? If the stone is variable and has more than one color or type of mineral in it, repeat the test in different places. 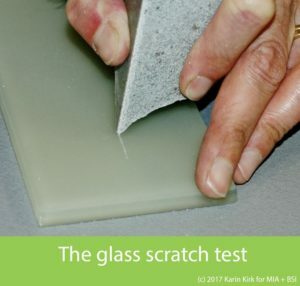 Real quartzite will scratch glass easily. You’ll hear it grind and you’ll feel it bite into the glass. The resulting scratch will be obvious. Yeah! 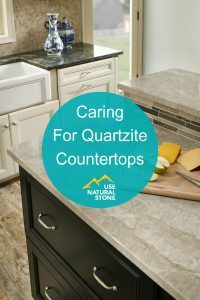 You’ve got quartzite! Non-quartzite will either leave no scratch or a very faint scratch. Often the rock feels slippery against the glass. It doesn’t make a noise. It leaves a powdery trail that rubs right off. Darn. Not quartzite. But aren’t you glad you know that now? What if there is no broken edge to use, such as a full slab with epoxied edges? 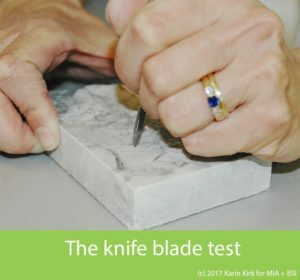 You can do a similar test with a knife blade. Try to scratch the rock with the tip of the blade. Genuine quartzite will be scratched lightly or not at all. Marble or dolomitic marble will be easily scratched. Put lemon juice or vinegar on the surface of the slab, let it sit for 15 minutes or so, and then wipe it off and see if the stone is affected. Etching can look like a lighter area, a darker area, or a place where the shiny finish of the stone has become dulled. When exposed to acids like vinegar or lemon juice, marble will show obvious etching. Dolomitic marble will show more subtle etching. Quartzite will have zero etching. Note that strong acids like in rust stain removers can etch even granite and quartzite. For our purposes, we are talking about everyday acids you’d cook with. These simple tests will go a long way toward sorting out the mystery of quartzite. Plus, you get to do a little geo-detective work and learn about your stone in new ways. The country of origin, price, or the name of a stone are not reliable indicators of what type of rock you’ve got. In many cases, it’s not even possible to tell marble and quartzite apart visually. That’s why the tests are so useful. 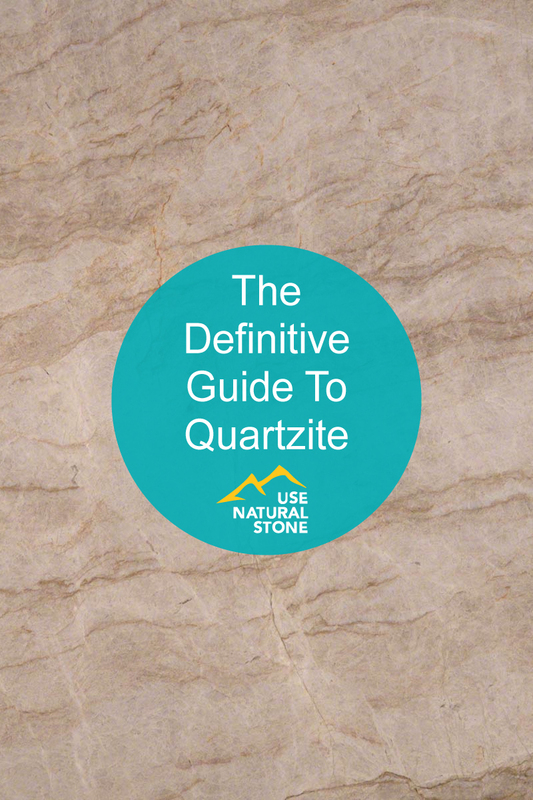 Quartzite and marble can look very similar, but they have dramatically different properties. This is why testing the stones is the only assured way to tell them apart. Images from M S International Left: Taj Mahal quartzite. Right: Emperador Light marble. 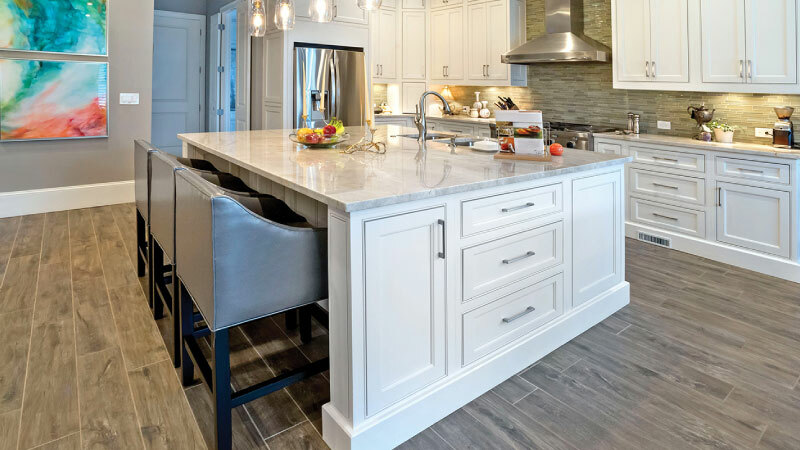 What’s the difference between quartzite and granite? Granite is a whole separate category of rocks that form from liquid magma. Visually, granite has distinct flecks of darker colors in it, while quartzite has either no dark colors at all, or has subtle, flowing areas of different colors. Sometimes quartzite is mislabeled as granite, which is not the worst mistake because they have similar properties. Granite and quartzite are both harder than glass, and neither will be etched by acids. Geologically, they are different classes of rocks, but that is less important than how they will behave on a countertop or as floor tile. 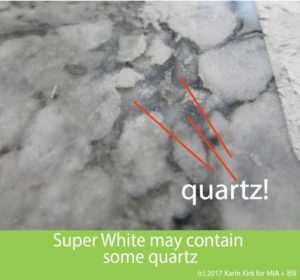 Super White is one of the stones that is frequently caught in the quartzite vs. marble mystery. Most commonly, Super White is dolomitic marble. That means it won’t scratch glass and it will etch with acids. Some Super White has minor amounts of quartz mixed in with the marble. But the rock is still marble and will act like marble. When doing the glass test with Super White, be sure to test a few different areas to get a sense for the overall rock. Is it all the same? Or are there some parts that are harder or softer? This is another stone that can be a bit confusing. Fantasy Brown is made of layers that have been folded and squeezed together. Some of the layers are marble, and some are quartzite. It’s best to treat this rock as marble. Do the glass or acid tests on each layer individually and you will be able to tell which layers are marble and which are quartzite. The confusion surrounding quartzite and marble is understandable. The stones look alike, and the abundance of conflicting information further muddies the water. Thankfully, the properties of quartzite make it easy to distinguish from other stones. Try the tests and see what you find. 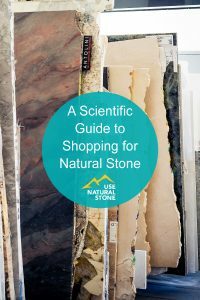 Exploring the properties of different stones can inspire confidence if you’re uncertain about a stone, or it can eliminate one from contention if it fails to meet your needs. Either way, being informed about your stone is the way to go. So roll up your sleeves and try out a little geology!